An estimated 91 percent of adults in this country have dental caries. While some tooth decay goes untreated, most people get cavity fillings. Yet, many individuals have white smiles that appear to be unflawed by decay. Chances are they have chosen metal-free dental fillings. Dr. Oliva Hart encourages patients in the Richmond, VA area to understand their choices. A hard, shiny layer of enamel covers the portion of a tooth that extends beyond the gum line, protecting dentin and pulp within. There is a common misperception that sugar causes cavities, but these holes in teeth are caused by acid attack. The acid comes from excretions of oral bacteria that thrive on sugars and starches left behind by your meals. Cavities start as microscopic pits. When properly detected at this stage, they can often be healed with homeopathic treatment. Otherwise, bacteria work their way deeper, continuing to erode tooth structure. Eventually, untreated decay reaches nerves and blood supply at the center of the tooth. This can cause a painful abscess and require extraction. Gum recession exposes roots that do not have the protection of enamel, contributing to decay at the gum line. A broken tooth is prone to decay as well. Your best defense against cavities is a consistent program of daily brushing and flossing, and regular professional cleanings and examinations. Yet, cavities can still occur, requiring tooth fillings. Since the 1800s, amalgam has been widely used to repair cavities. It is a combination of metals, including about 50 percent mercury, which gives these fillings a silvery color. An increasing number of health- and appearance-conscious individuals are choosing restorations that do not “broadcast” repaired tooth decay. Dr. Hart restores cavities with composite resin that blends beautifully with natural tooth color. This compound contains no mercury or metal, and it is free of BPAs. The next generation composites used at Richmond Family Dentistry are strong and durable, suitable for any location in the mouth (including molars). 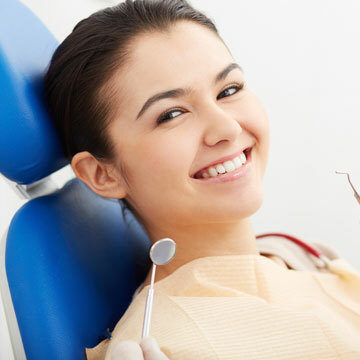 Contact Dr. Olivia Hart of Richmond Family Dentistry to repair your smile with an attractive filling that will blend right in with your teeth. Click here to make an appointment now or call (804) 381-6238 to learn more.